Women face a much different set of health challenges than men, and they deserve care tailored to their goals and needs. Whether you need to investigate a lump in your breast or are due for your regular pelvic exam, you need an experienced, compassionate doctor you can trust. For comprehensive and personalized health care, call the practice of Lilette Daumas, MD, or make an appointment online today. 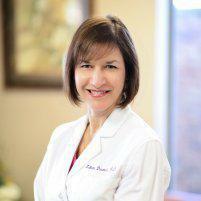 Dr. Daumas is proud to serve the health needs of women in Houston, Texas. What women’s health services are offered? Women and men often face a different set of health problems, especially when it comes to the reproductive system. At the practice of Lilette Daumas, MD, you can find an approachable, expert source to answer your questions, treat any concerns, and help you undergo any necessary screenings and physical exams. The foundation of women’s health is the basic pelvic exam. Pap smears are used during these exams to check for signs of cervical cancer. Dr. Daumas also can check for STDs and other diseases that specifically affect the uterus, ovaries and female genitalia. Women experiencing menopause or pelvic pain can often benefit from women’s health services, as can women experiencing urinary incontinence. Exams for expecting mothers are also a big part of keeping women healthy. A Pap smear is used to look for signs of cervical cancer and one of its leading causes, human papillomavirus (HPV). During a Pap smear, Dr. Daumas will use a speculum to hold the vaginal walls apart, allowing her to access the cervix. Then she takes a sample of a few cells from the walls of your cervix to send to the lab for testing. Pap smears aren’t painful, and they can detect a form of cancer that is common and otherwise undetectable, in most cases. Dr. Daumas recommended that women get an annual Pap test after they turn 21. How do I check for breast cancer? Performing regular self-exams is very important, as breast cancer becomes more dangerous as it grows and develops. It’s important to check your breasts every week or so. If you do find a lump, don’t panic ━ more often than not, these lumps are noncancerous, especially in younger women. If you have discovered a lump, you will need further examination. The first step is typically a mammogram, although Dr. Daumas may recommend further tests as well, like an MRI or ultrasound, to determine the size and position of the lump. If there’s reason to believe it could be cancerous, a biopsy may be taken. If you could benefit from these services or if you have any questions about them, call Dr. Daumas today or make an appointment online.